A new sales art poster for the upcoming The Blob remake has made its way online via Arclight Films, and it very reminiscent of another movie franchise. The Blob remake has been talked about for a very long time now, but it seems like we might be getting closer to the remake becoming a reality. Another production poster came out last week and it added Halle Berry to the Simon West (Con Air, Lara Croft: Tomb Raider) directed remake. What's curious about the poster from last week is that it does not have Samuel L. Jackson's name on it. Jackson has reportedly been attached to the project since 2015. Confusing matters even more is the new poster from Arclight Films that has West's name and Jackson's, but no mention of Berry. The sales art poster is pretty sparse without much color, but one thing is clear: it looks exactly like the artwork for the Alien franchise. Like a lot. Now this is just the sales art and it could change as most sales art does, but the Independence Day 2 sales art looked pretty much unchanged from the original. 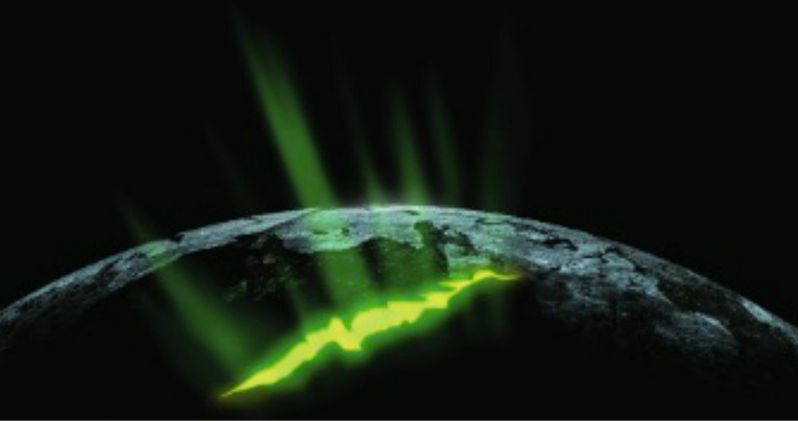 This new poster shows the earth with a green fracture running through it, an image that looks like it was slapped together on an iPhone in about 2 and half minutes. Let's hope that the movie is better than the art. The Blob remake is said to be a "terrifying reimagining" of the 1958 science fiction classic that starred Steve McQueen. The plot is reportedly about a band of coal miners uncovering something weird deep into the earth and through some kind of mistake, they unleash a hideous creature beyond belief and imagination into the world. Now the local townsfolk must save the world from The Blob. A lot has been said about another remake or re-imagination of The Blob, some fans are excited, if not getting impatient, while others think that it's a bad idea on numerous different levels. One of the hip (and welcome) trends in Hollywood today is the use of practical effects. J.J. Abrams used a lot of practical effects in The Force Awakens to great effect and more directors are looking towards the tangible to tell their stories at the moment. West was quoted as saying that. "With modern CGI we can now fully realize the potential of The Blob. The world I create will be totally believable, immersive and emotionally satisfying. It's a thrill to introduce an enduring icon to a wider audience and a whole new era of fans." It's still really early to tell, but hopefully Simon West's vision rings true. It's hard to say, when part of the charm of the original movie is the practical, unsophisticated effects. There's a lot of confusion surrounding West's The Blob remake and it's not even clear if he is still attached to direct. At one point, it was supposed to be the next feature film project for musician Rob Zombie. In addition, we still don't know who will be starring in the project because of the two conflicting pieces of sales art that have been released. Hopefully more official news rolls in soon. In the mean time, check out the derivative sales art poster below. Halle Berry Takes on The Blob Remake?